​Eleanor Nurzia was raised in Mahopac, New York. After graduating from Mahopac High School, she went on to study at both Boston College, Boston, Mass. and The American University in Brussels, Belgium. She earned her Bachelor of Arts Degree in Economics from Boston College. Eleanor accepted a position after graduation with Capital Restaurant Concepts in Washington, DC. She spent six years with them opening and managing new restaurants, working from the point of concept development. This foundation provided opportunities to work in similar capacities as a General Manager with Sutton Place Gourmet in Westport, CT and then as a Regional Manager with Jim Calhoun’s Sports Bar and Grill based in Hartford, CT. In 1999, Eleanor and her partner, Mary Nurzia, took over the operations of The Colosseo Restaurant in Pawling, NY. They operated this location for almost three years before making the choice to move and expand the business. The business reopened in a new location on Route 22 in Patterson, NY. The concept was revised and renamed Abruzzi Trattoria. Abruzzi has successfully been in business since 2004. Eleanor is now in the process of opening a second restaurant called 52 Main in Millerton, NY. This property is expected to open May 2012. 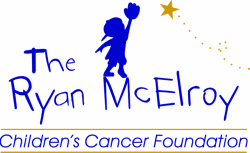 Eleanor’s other passion is working with The Ryan McElroy Children’s Cancer Foundation. She became a trustee in 2005. Now a seated Board Member, she feels blessed to be able to work with families in the fight of their lives and to work with people who give from their heart on a daily basis. Eleanor is currently a resident of Sharon, CT where she lives with her husband Kurt and their boys, Erik and Elliot.